Lots of people ask the question "When does a baby move from a cot to a bed?" and I think the answer is really very dependent on the individual child. 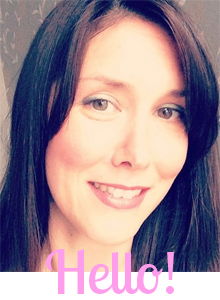 I remember when Isla moved from her cot to a toddler bed and it definitely signalled the end of babyhood, she was just past 2 years old. Seeing her in her new bed, she looked so small, yet so grown up at the same time. 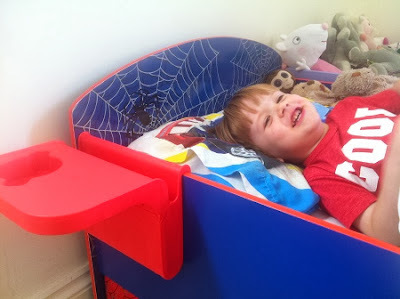 So the time came recently for Noah to leave his cot and make the leap to a toddler bed and it was again the end of his babyhood, also at 2 years old. But to me it was more than that as he is definitely my last baby and therefore the cot was packed up and given to a friend and I felt a lump in my throat. And so started a new chapter, of training him to not keep getting in and out of bed at bedtime. To be fair to him, he's not been too much a of terror for that, like his sister was. He knows he can get out whenever he wants but in the morning he prefers to sit up in bed and just yell "MUUUUMMMY" until I come running. 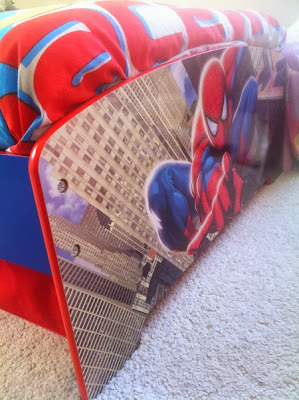 We were sent the Spiderman Toddler Bed free of charge from http://www.bambinodirect.co.uk in exchange for this post. All words are my own.